Are you looking for the most professional and efficient CPC training Dorset has to offer? If so, look no further than Wayside Transport. With our friendly and down to earth approach, we pride ourselves on offering unbeatable training methods that provide our students with all of the essential know-how and practical experience. To find out more, get in touch with our helpful team by calling us on 01202 873 911 today. 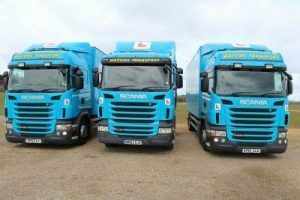 If you’re looking to work in either haulage or passenger markets, you’ll need to complete or keep yourself up to date with your CPC training in Dorset. In partnership with our sister site, Driving Force South Limited, Wayside Transport will be offering exceptional CPC training throughout the year. Our highly experienced and knowledgeable instructors will focus on your needs and requirements to ensure your Dorset CPC training is as efficient, professional and safe as possible. We have a central location of Dorset, making our training site easily accessible from Southampton, Hampshire and Wiltshire via the A31. To find out more, and to discuss our CPC training in Dorset training dates, get in touch with our helpful team by calling us on 01202 873 911 today. Did you know that, if your lorry exceeds 3.5 tonnes, or if your minibus has over nine seats, you’ll need to obtain a Dorset CPC license? To pass your Dorset CPC training, you’ll need to take both a theory and practical test, as well as thirty-five hours of periodical training every five years to keep you up to date. As providers of the best CPC training Dorset has to offer, we can provide you with all of the above, and at the highest standard that you won’t find elsewhere. With fully trained instructors, who are recognised by the Driving and Vehicle Standards Agency and for Driver CPC by JAUPT, your search for the best CPC training is over. 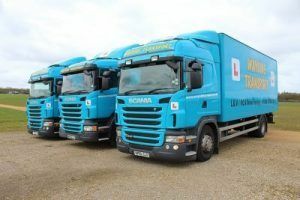 With our extensive range of exceptional driving courses and training, it’s no wonder we’re considered providers of the best CPC training in Dorset. Why choose Wayside Transport for your CPC training? At Wayside Transport, we’re proud of our team of highly experienced and dedicated instructors, who are hand to make your training as effective and professional as possible. Fully NRI accredited holding current DBA/CRB certificates, you can rest assured your with a company you can trust. For that extra peace of mind, we can provide our students with female instructors, should this make them more comfortable. Do you still need convincing that Wayside Transport offers the most efficient and professional CPC training? Have a read through our glowing testimonials from many highly satisfied students, which demonstrates our exceptional service. You can also have a look through our online gallery, which will provide you with an idea about what kind of vehicle you will be driving. To find out more about the best CPC training Dorset has to offer, get in touch with our helpful team by calling us on 01202 873 911 today. Alternatively, you can email us at training@waysidetransport.co.uk, or fill out our simple online enquiry form, and we’ll get back to you as soon as possible.